The Outstanding Tri-County Sports Figure for 1990 is 25-year-old Tony Wysinger of Peoria, a superb athlete now excelling in his second sport. 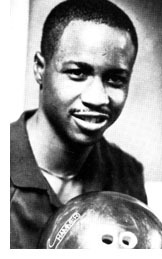 First known for his basketball prowess, it was his skill as a bowler that earned him his Tri-County award. 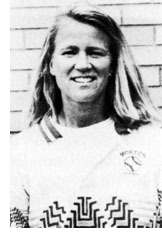 A stand-out basketball player at Central High School and the University of Illinois, and currently a part-time coach for Bradley, Wysinger has also been an accomplished bowler for several years. He hit his peak last December 10 when he produced the biggest series in the history of the Greater Peoria Bowling Association. Bowling for Paul's Pipe Shop at Mount Hawley Bowl, Wysinger put together a 852 series on games of 300, 255, and 297. And early this year, he bowled a second 300 game. Wysinger bowls in three leagues and at the time of his big series was averaging over 200 in all three. Tony paced the Central Lions to a second place finish in the 1983 state basketball tournament. He was also named to the five-man little AllAmerican team as a senior at the University of Illinois. During his historic series, he had strikes in all frames but four and missed a second 300 game when his final bowl clipped the head pin and left three pins standing. He has been a spokesman for the Fellowship of Christian Athletes for the past five years.